Facebook's CEO Mark Zuckerberg have been promoting the VR market. Last year, Back at Oculus he talked about the necessity for social network in Virtual Reality. By using up an app that allowed you to create your own VR avatar you just need to sit in VR meetings with your friends, talking to them, taking selfies with them using virtual selfie sticks. 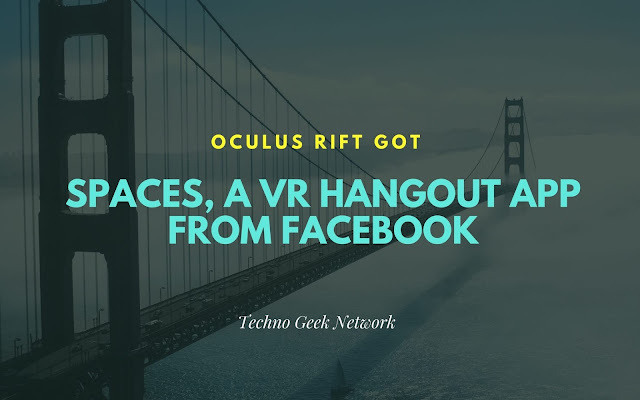 In recent F8 Conference, Facebook announced the app named as Spaces officially announced by Facebook available in beta form for Oculus Rift. However, this is not the Facebook's first VR app as Facebook also launched Facebook 360 last month which was a VR version of Facebook that allowed users to have a look at 360-degree view of photos and videos in their Gear VR. Mark Zuckerberg is showing large interest in VR world and these are just the beginning of his vision towards his larger push on VR for which he invested $3 Billion.